This ad for the 524D appeared in the January 1954 issue of Proceedings of the IRE. This ad for the 513 and 535 oscilloscopes appeared in the January 1954 issues of Electronics, Proceedings of the IRE, The Review Of Scientific Instruments, and Electronic Products. 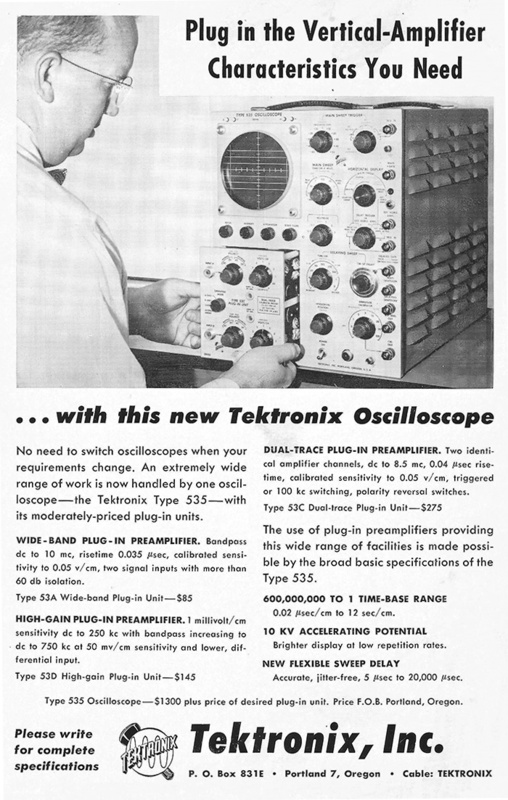 This ad for the 531 and 535 oscilloscopes appeared in the January 15, 1954 issue of Northwest Electronics World. 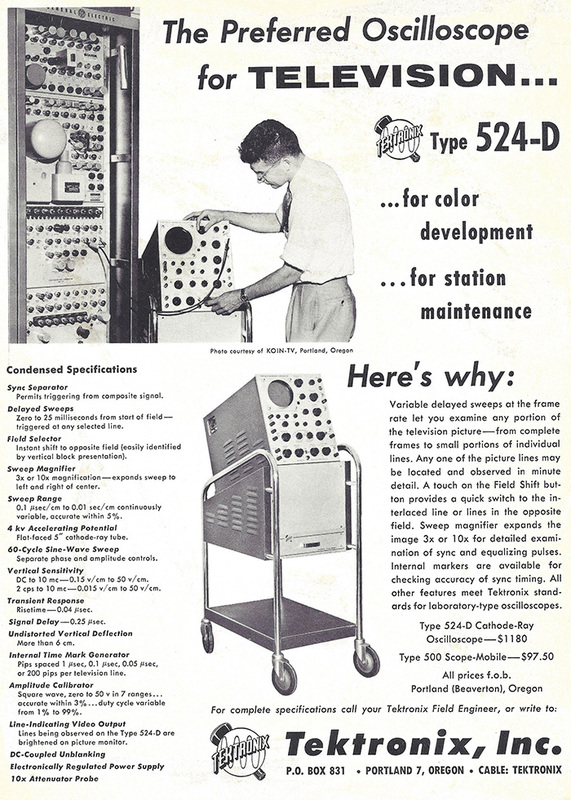 This ad for modifications to the 511A, 512, and 514 appeared in the January 1954 issue of Electronics. 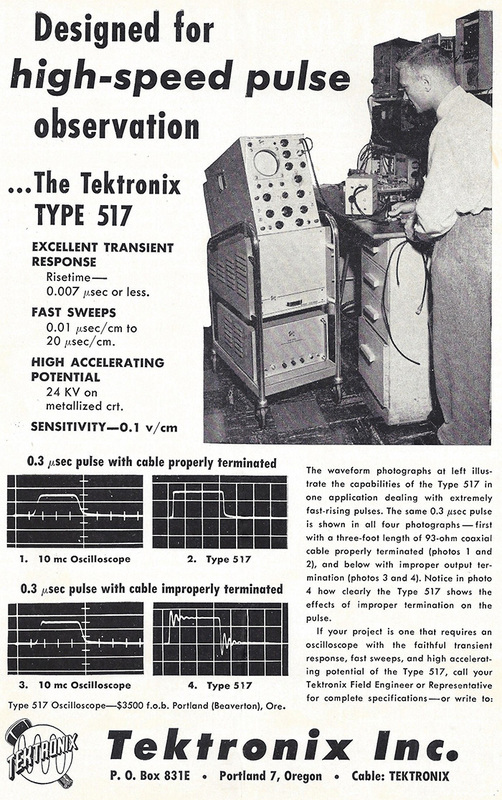 This ad for the 517 appeared in the February 1954 issue of Electronics. This ad appeared in the February 1954 issue of Wireless Engineer as well as the December 1953 issue and also the Winter 1953 issue of American Scientist. This ad for the 524D and the IRE show in Portland, OR, appeared in the April 1954 issue of Northwest Electronics World. This ad for the 517 appeared in the April 1954 issue of Wireless Engineer and the Spring issue of American Scientist. 1954 Advertisements are continued on Page 2.